On 10/30/08, petitions for writ of certiorari were filed in two cases: Bodkin v. Cook Inlet Region, Inc., which deals with age discrimination and shareholder distributions and Michigan Gambling Opposition v. Kempthorne which deals with whether an environmental impact statement was necessary in assessing impact of proposed Indian casino site on traffic. The University of New Mexico School of Law invites applications and nominations for one or more faculty positions in its Clinical Law Program and its Indian Law Program, or both starting in the Fall of 2009. For any position, the Law School anticipates filling a tenured position, probationary appointment leading to a tenure decision, or a visiting position. Both entry level and experienced teachers are encouraged to apply. All candidates for these positions must possess a J.D. or equivalent legal degree. Admission by examination to a bar of a state or the District of Columbia and experience in the practice of law are required for any clinical position. For complete information including position qualifications and application procedures, you may access http://www.umn.edu/~oeoumn/facultyjobs/faculty_jobs_law.htm or request a copy of the position announcement from Professor Alfred D. Mathewson, mathewson@law.umn.edu. Please indicate Faculty Recruitment in the email subject line. Description: The Quinault Nation is recruiting for a tribal attorney position focused on child support and child welfare protection. This fulltime position is within the 7 member team comprising the Office of Reservation Attorney, under the executive branch of the Quinault government. Our office is located next to the confluence of the Quinault River into the Pacific Ocean on the pristine Quinault Reservation. First screening of applications scheduled for November 15. To apply, please call (360) 276-8215 ext. 577 or see quinaultindiannation.com. Position open until filled. Complete employment applications will be accepted until position is filled with first screening November 14, 2008, postmarked by that date. ONLY COMPLETE APPLICATION PACKETS WILL BE CONSIDERED. 2. Cover letter explaining your qualifications and experience relevant to the functions of this position. 3. Personal Resume indentifying your qualifications and experience relevant to the functions of this position. 4. Supplemental Form for Sensitive Tribal Positions. 6. Official Copy of law school transcript. Obtain an application from the Quinault Indian Nation Human Resources Department, 1214 Aalis Drive, Taholah, WA 98587. Ph. (360) 276-8211 ext. 577. Completed application packets and any questions should be submitted to cpotter@quinault.org. Applicants are encouraged to apply early, and to explore the Nation?s website at: www.quinaultindiannation.com. Saturday, November 1 at 7:30 a.m. The ASU NALSA students would greatly appreciate your participation in or support of this event. Please share this information with anyone you know who might be interested in participating. Thank you in advance for your support. 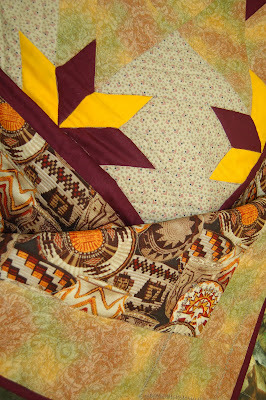 IGRA Quilt is a Hit! A special thank you to Marlene Jones! 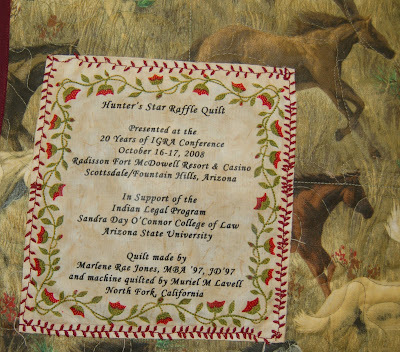 ASU College of Law and Indian Legal Program alumnus Marlene Jones (JD/MBA ’97) donated a beautiful quilt to the ILP to help raise scholarship funds for students and commemorate the 20 Years of the Indian Gaming Regulatory Act. The quilt raised $920. Thanks again Marlene. Issue: Whether the Narrangansett Tribe may receive benefits under the Indian Reorganization Act of 1934 if the Tribe was not federally recognized on the date of enactment, and whether the Rhode Island Indian Claims Settlement Act foreclosed the Tribe’s right to exercise sovereignty over land in the state. Less than two weeks before the case Carcieri v. Kempthorne comes before the Supreme Court, lawyers Theodore Olson and Joseph Larisa Jr. are still at an impasse over which one of them will argue the case for the plaintiffs. Larisa has the backing of the town council of Charlestown, R.I. to argue in the case as he has in courts below, but Rhode Island Gov. Donald Carcieri and Attorney General Patrick Lynch want Olson, the former solicitor general and now partner at Gibson, Dunn & Crutcher, to appear before the justices Nov. 3. The case is a dispute over an Indian land claim in Charlestown. On Oct. 15, Olson filed a standard argument form with the Supreme Court clerk’s office stating he would be the one to argue. But the next day Larisa filed an argument form with his own name on it. Since the Court has already denied motions for divided argument, the clerk was faced with the dilemma of two lawyers claiming they will argue at the same time for the same party, when only one lawyer can do so. On Monday Denise McNerney, the merits cases clerk for the Court, sent the two an identical letter telling them sternly that “The decision as to which attorney will argue on behalf of the petitioners in this case is now to be made amongst the parties.” She gave Olson and Larisa until noon on Oct. 30 to tell her who will be arguing. Larisa, who wants the choice made by a coin toss, said Tuesday afternoon that the governor has once again refused to decide it that way. “They have not suggested any other option other than ‘Ted wins,'” said Larisa this afternoon. “Less than 13 days to go until oral argument and we cannot agree on a simple coin toss. It is the town’s position that the AG and governor are now affirmatively hurting preparation for oral argument.” Olson could not be reached for comment. What is Community Based Participatory Research? How does “Academic Freedom” apply to Indian Country? What is the history of tribal health resarch in Arizona? Professor Tsosie will be a presenter during this event. The starting bid is $150 and will be increased in $5.00 increments. You can view the quilt outside of Room 236 now until October 14th. 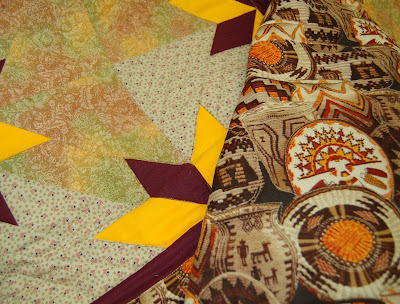 After that date the quilt will be shown at the IGRA conference at Fort McDowell. The bidding will close at 4:00 p.m. on Friday, October 17th. The winner will be announced before the closing remarks of the conference. If you are not attending the conference but would like to support this fundraiser, you can email Kate Rosier at Kathlene.Rosier@asu.edu with your bid. Please place “QUILT” in the subject line so we do not miss it. Kate will let you know if your bid is the highest. ILP staff will check for emails during the event and update the auction sheet at the event with the email bids. Please share with anyone you think would be interested. Thank you. WASHINGTON D.C.-The U.S. Supreme Court held its opening conference on September 29, 2008 and, as expected, granted review in two Indian law cases–United States v. Navajo Nation and State of Hawaii v. Office of Hawaiian Affairs–both of which involve lower court decisions favorable to Indian country. First, in United States v. Navajo Nation, the Court will review a decision by the U.S. Court of Appeals for the Federal Circuit upholding the United States’ trust responsibility to the Navajo Nation. This case is part of the on-going litigation between the Navajo Nation and the United States involving disputes surrounding the negotiation of royalty rate adjustments for coal leases entered into between the Navajo Nation and the Peabody Coal Company. Second, in State of Hawaii v. Office of Hawaiian Affairs, the Court will review a decision by the Supreme Court of Hawaii which held that the State of Hawaii should be enjoined from selling or transferring “ceded lands” held in trust until the claims of the native Hawaiians to the ceded lands have been resolved. The Supreme Court of Hawaii based its decision, in principal part, on the Apology Resolution adopted by Congress in 1993 which gives “rise to the State’s fiduciary duty to preserve the corpus of the public lands trust, specifically, the ceded lands, until such time as the unrelinquished claims of the native Hawaiians has been resolved.” In 2000, while in private practice, Chief Justice Roberts represented the State of Hawaii in Rice v. Cayetano, a case involving the status of native Hawaiians in which the Court held against Native interests. No doubt, the questions presented in this case are of keen interest to the Chief Justice. At present, the Tribal Supreme Court Project remains extremely busy as it prepares for oral argument on November 3, 2008 in Carcieri v. Kempthorne (challenge to authority of the Secretary to take land in trust under section 5 of the Indian Reorganization Act). The Project also is continuing its efforts to coordinate resources and develop strategy in support of a petition for cert involving the free exercise of Native religions under the protection of the Religious Freedom Restoration Act in Navajo Nation v. United States Forest Services (permit for ski resort to use recycled sewage waste-water to manufacture snow on the San Francisco Peaks — a sacred-site for many American Indian Tribes). As always, we are carefully monitoring cases of interest as they move through the lower courts. Copies of briefs and other materials for each of the cases listed in the Tribal Supreme Court Project Update are available on the NARF website at http://www.narf.org/sct/index.html. The Tribal Supreme Court Project is part of the Tribal Sovereignty Protection Initiative and is staffed by the National Congress of American Indians (NCAI) and the Native American Rights Fund (NARF). The Project was formed in 2001 in response to a series of U.S. Supreme Court cases that negatively affected tribal sovereignty. The purpose of the Project is to promote greater coordination and to improve strategy on litigation that may affect the rights of all Indian tribes. We encourage Indian tribes and their attorneys to contact the Project in our effort to coordinate resources, develop strategy and prepare briefs, especially at the time of the petition for a writ of certiorari, prior to the Supreme Court accepting a case for review.